Went to the convention center in Boston last night, and saw all the new models from major car companies. Very impressive display!! The new Corvette is quite tasty, I would love it as a plaything. If you go to the show, remember they don’t give away any food 😦 , I guess it would mess up the cars. Enjoy! 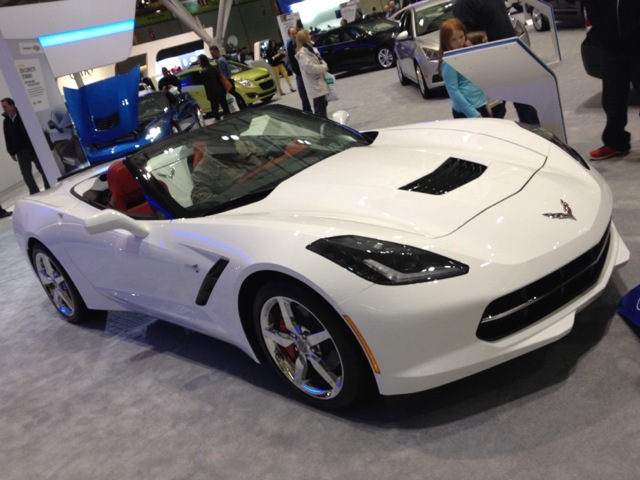 This entry was posted in New Cars and tagged car, convention center, Corvette, NE Auto Show. Bookmark the permalink.